WeSC is up to something interesting here with their Spray Paint Cap Speaker. Hoping to add a bit of variety to the rather standard speaker line-up out there while also attracting a more edgy crowd, the brand is offering up a Bluetooth speaker that looks exactly like a spray can cap. 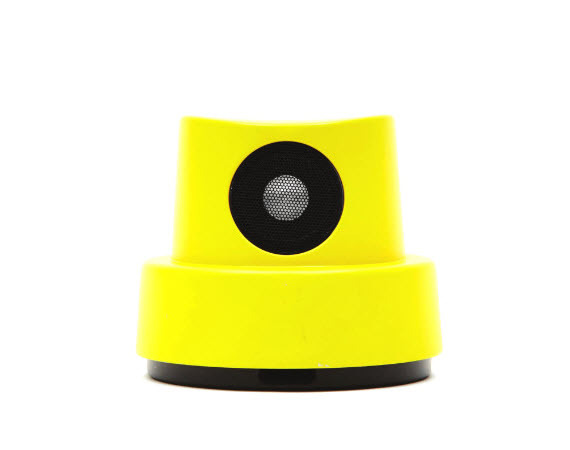 In addition to this bright yellow model, WeSC has plans on offering the speaker in a variety of colorways and in two different sizes. For now, we just have one preview shot, but expect to hear more as soon as I have it.